More stress = more skin issues. Yikes! Stress is a part of every girl's life—from dealing with sun and pollution while commuting to managing workload to paying bills on time. It gets overwhelming, and you tend to forget to take care of yourself—and your skin—along the way. Here's an easy guide for every working girl who wants to win in the beauty department, despite all the crazy moments you deal with every day. 1. Use both facial cleansers and toners. To make sure your face is free of dirt and bacteria, wash with a great cleanser and apply a pore conditioning toner that suits your skin well. This ensures that your skin is clean despite all the pollutants that come your way. Give your skin a good scrub a couple of times every week to wash away dullness and roughness. Use a cleansing puff or any other exfoliating tool with your facial wash. Again, to protect your skin, don't overdo it, and don't forget your moisturizers after. Even if the skies look gloomy, you still need to slather on dollops of sunblock to protect your skin from UV rays invisible to the naked eye. This keeps you away from early signs of aging like fine lines and wrinkles. We've said this a thousand times before, and we'll keep telling you this until you get a quality sunblock for your daily use. Don't forget to re-apply during the day, especially after sweating a lot! 4. Day cream is a must in your pre-work beauty regimen! Day cream is LIFE for women who struggle with heat and pollution, which cause dark spots and damaged skin. Before you step out and run the world, include this Cosmo Brightening Awards winner in your routine: Pond's White Beauty Day Cream! This day cream protects and nourishes your skin with the NEW patented ingredient, VITAMIN B3+, that works deep within your skin to fight 10 of the toughest skin problems and give you a rosy white glow. 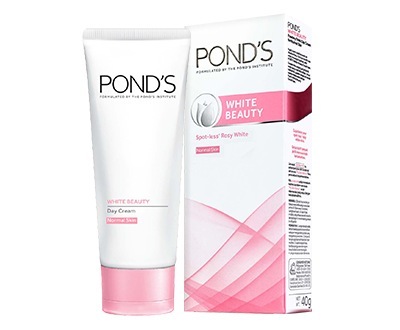 Pond's White Beauty also has SPF6 that protects your skin from damaging UV rays. Best of all, it comes with a powdery, matte finish, that fights oil all day. 5. Eyeliner and mascara are your daily BFFs. They open your eyes and add instant drama to your face. Apply these and you'll look office-ready—with or without enough sleep (especially on nights when you're too busy with #priorities, like watching Korean drama series). 6. H2O for a hotter you! Hydrate with as much water as you can. Not a fan? Just give it a try for a few days and you'll definitely see a clearer and brighter version of your skin, promise. It also keeps you energized and lets you avoid headaches even when you've been in a meeting marathon since 7 a.m. Make it part of your lifestyle and your skin will look prettier and healthier than ever.